Drafting, organising and realising the IdeenExpo in the role of responsible leading agency. 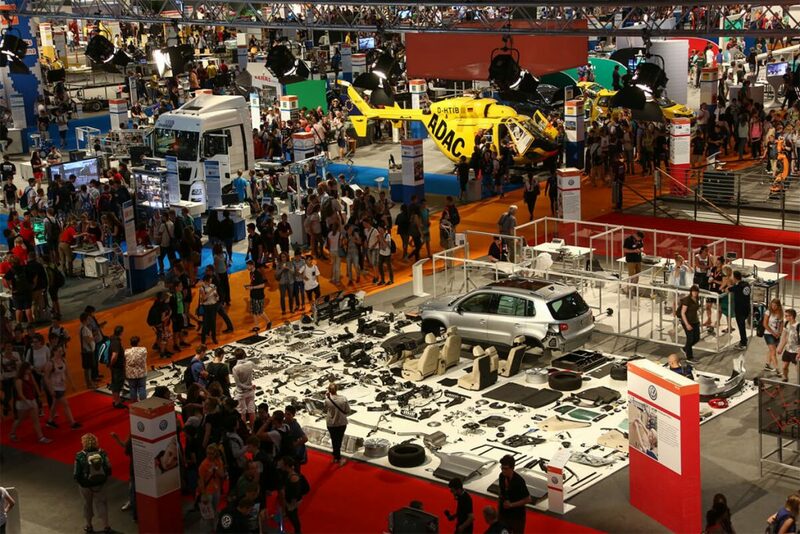 The IdeenExpo is the largest event for technologically and scientifically interested newcomers in Europe. More than 350,000 visitors and approx. 230 exhibitors (among others, Volkswagen, Siemens, Telekom und Continental) with more than 600 interactive exhibits celebrate a unique event over the course of 9 days on the Hanover fairground which is larger than 100,000 m2. 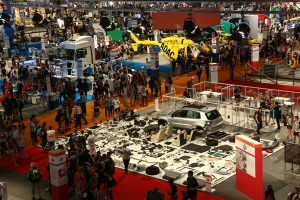 The diversity of the topics and activities offered at the event is shown by hundreds of workshops which are offered in the entire Convention Centre on the fairground. 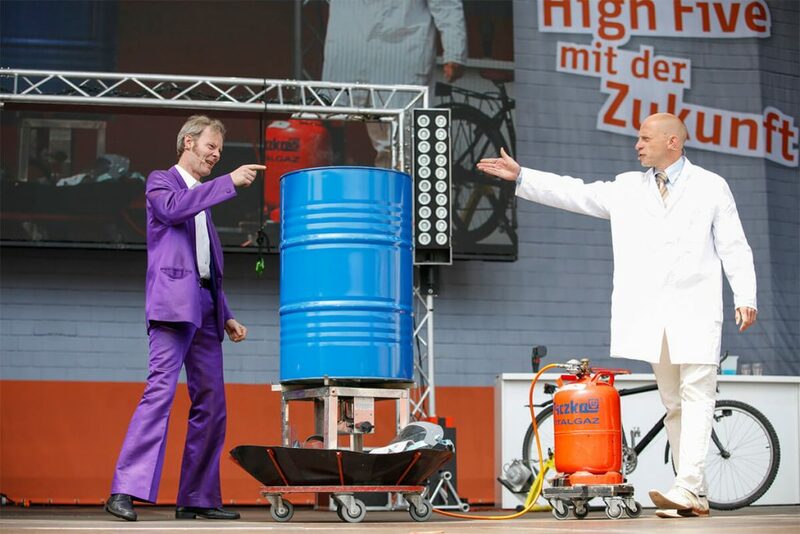 The event furthermore includes many attractive additional events with scientific shows and concerts by popular bands. Orientation on all levels — at the event and for the professional future. The IdeenExpo is a fair for young people who can tangibly learn about exciting professional options in the fields of the natural sciences and technology. The event offers them a new perspective on and an interactive discovery of these subjects. 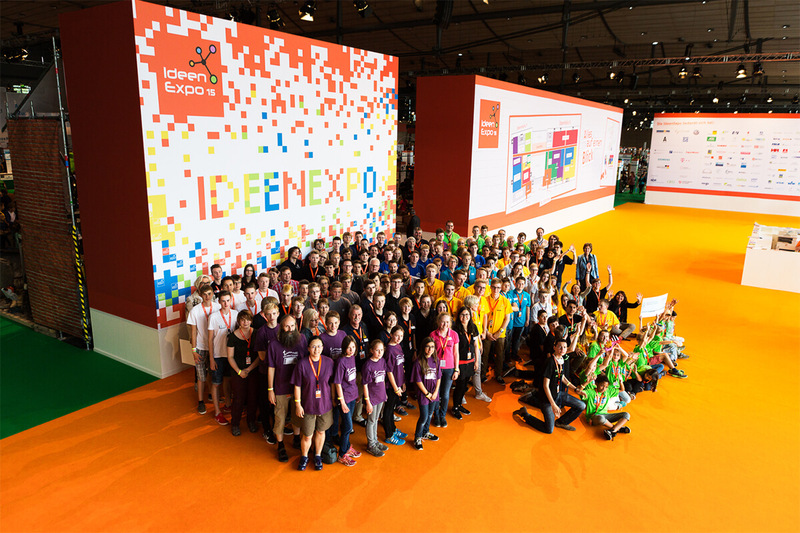 The great number of topics offered at the IdeenExpo serves as an adequate compass for adolescents and their personal professional orientation in a world of endless possibilities. A clearly structured event with coloured topic areas, attractively located stages across the area and trained staff ensure that the young people are supported in their future orientation and in determining their personal outlook. Drafting the concept of the event. Assembling all documents and specifications for the major departments (exhibition stand construction, technology, catering for exhibitors and visitors, cleaning, security, staff). Target-aimed supervision of these departments and control of the milestones as affiliate of the service providers. 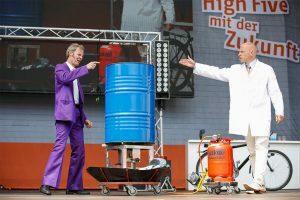 Concept, development and implementation of various supporting and live performances with science shows, exhibition shows, live acts, open forums and panel discussions etc. for four stages in total. Concept and implementation of an online and offline platform (“Club Future”) in cooperation with the employment office and the Training Institute for Economy in Lower Saxony (Bildungswerk der niedersächsischen Wirtschaft (BNW)) in order to further the professional orientation of adolescents. Consulting the exhibitors with regard to stand construction, shows and design. Supervising the exhibitors, VIPs, artists and consultants during the event. Organisation and/or support of prior events including press conferences and sponsoring events. 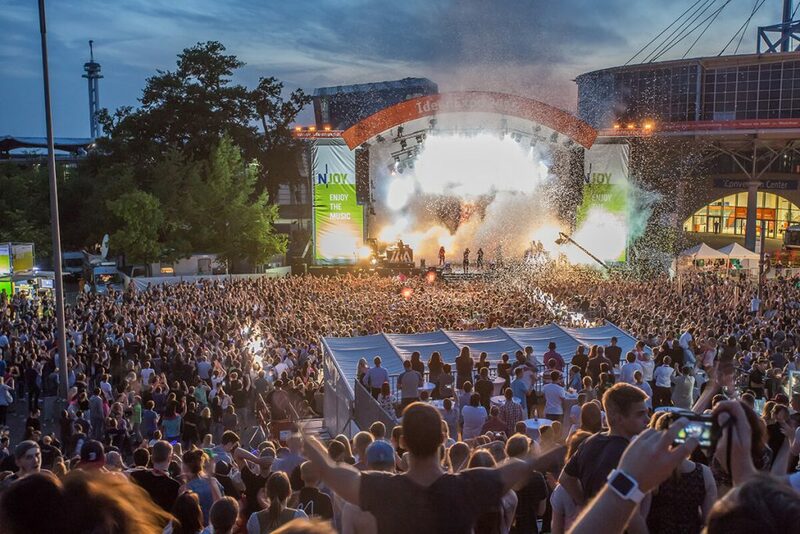 Concept, development and implementation of the opening and closing galas as well as a mid-event party. Cost management and controlling for all areas. 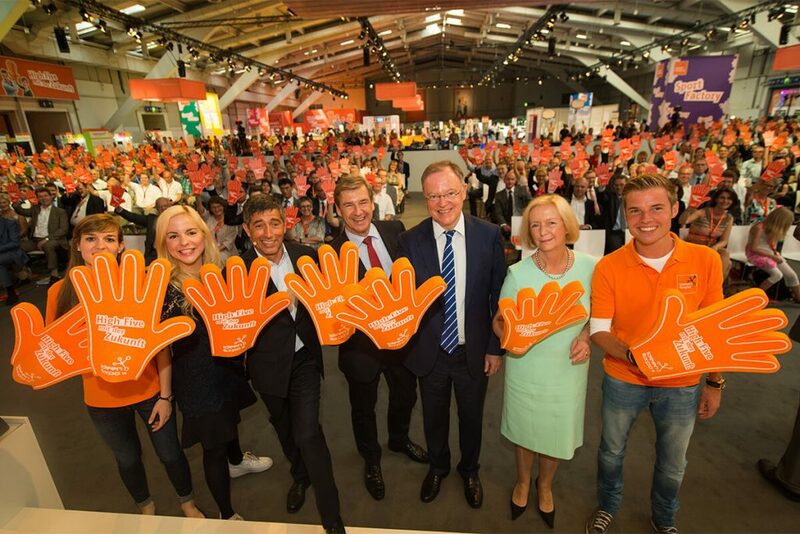 More than 350,000 thrilled visitors from all over Germany, about 230 satisfied exhibitors, detailed and positive reports in the media, convinced opinion leaders from the fields of politics, economy, education and publicity document the impressive success of the huge nine-day event. The IdeenExpo offered all interested parties an understandable and clear orientation. Knowledge was transferred with fun. 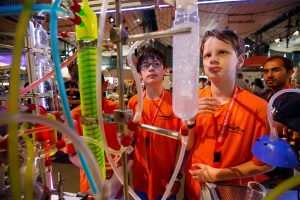 Fears of embarking on something new in the natural sciences and in technology were cleared out and exciting professional fields were presented live and attractively. The concept of the IdeenExpo attracted young people, which is proven by data from our market research. 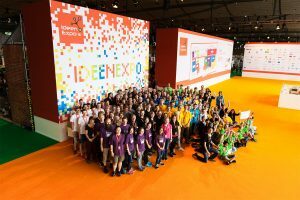 The IdeenExpo: an outstanding event and a fantastic success for Germany’s professional young generation.